 In planning for our 125th Anniversary, the Servants of Mary recognized a desire to both celebrate this achievement and the attendant graces, and to give back to the many good and wonderful people we’ve encountered along the way. Offering 125 Days of Prayer is one way we are doing so. A significant part of the history of the Servants of Mary has involved ministering in parishes, schools and centers of social service across the United States. To honor the places we have served and the people we have served with, we initiated 125 Days of Prayer. Servite Feast Days will mark the beginning and closing of these days: February 16, the Day before the Feast of the Seven Holy Founders, and June 20, the day after the Feast of Saint Juliana. Every Servant of Mary who is able is participating in reaching out to the places she has ministered via a letter and personal note. Parish staff and families, school faculty and students and agency administrators and volunteers are being invited to send their personal intentions to us. These intentions will be placed in a large basket situated near the altar in our Motherhouse chapel. Our sisters and associates will pray for these intentions and a special petition for all intentions will be read at each Motherhouse liturgy. In gratitude for you, we also invite everyone who reads this article to participate in 125 Days of Prayer. Please send your intentions to us at servites125@gmail.com or mail them to Servants of Mary, 125 Days of Prayer, 7400 Military Avenue, Omaha, NE 68134. We will welcome the opportunity to pray in a special way for you.